To continue with our VMAC G30 Gas Engine Driven Air Compressor launch, we’re highlighting the G30 Engineering team. This talented team worked on the design, development, and testing of the new G30, now powered by Honda. Neal, Michael, and Jake took a few minutes out of their day to answer some questions and give us some insight into their roles at VMAC, and what they like to do outside of work. 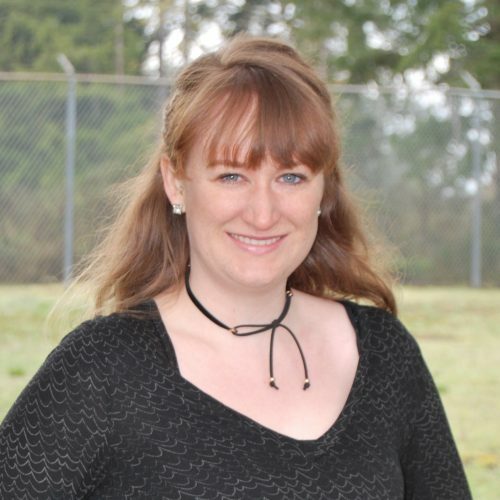 CAN YOU DESCRIBE YOUR ROLE AT VMAC? 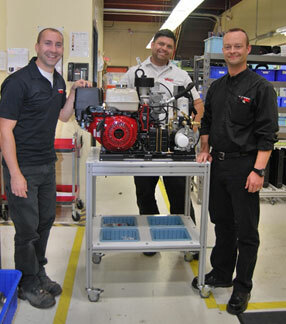 Michael: We are the Packaged Products Team, which means we engineer and support the engine driven product line and its accessories, including the 60 CFM Diesel Driven Air Compressors, 40 CFM and 60 CFM Hydraulic Driven Air Compressors, the Multifunction Power Systems, and of course, the 30 CFM Gas Driven Air Compressor. HOW LONG HAVE YOU WORKED AT VMAC? Michael: This December it will be 11 years. Neal: 9 and a half years. 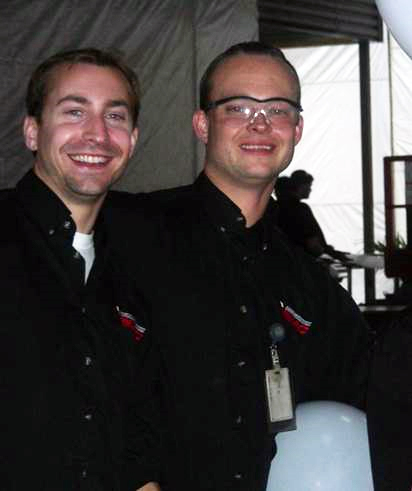 Michael: For me, developing new products and interacting with our production team is great. We’re able to work with our in-house production team to learn from their experience building the air compressor systems. We can take that feedback and design our products for manufacturability, making them easy to assemble and service. Neal: I enjoy the hands-on aspect of our job. We get to test the equipment, run field trials, and even build the first run of a new product. We have the flexibility to work with a variety of products, and design on-the-fly based on input from other departments. Jake: I like seeing projects move from the initial design all the way through to production. I also enjoy working with VMAC’s different teams to overcome challenges during the development process. ANY MEMORABLE MOMENTS YOU’D LIKE TO SHARE FROM YOUR TIME DEVELOPING THE NEW G30 WITH HONDA ENGINE? Neal: The high-elevation testing was a fun day. We drove up to Mt. Washington [an alpine resort in BC] and went up 3,700 feet to test the new G30 with the Honda GX390 engine. I also enjoyed building the first run of eight G30s for production with the team. Michael: The high-elevation testing up the mountain was great. We also know that we have a new G30 running at 6,200 feet in Colorado, which we’re proud of. We took everything we learned from the previous version of the G30, (previously powered by Subaru) and used that learning to develop a reliable new product with great improvements. Jake: Initially learning that we would be switching over to the Honda GX390 engine—that generated a bit of excitement through the plant. It’s always interesting when there’s a big project to work on. Michael: I saw the potential to learn from experienced engineers, and the opportunity to be hands-on and work directly with the systems. It’s so much more than just designing at a desk. Neal: My mom originally referred me to VMAC. I did a tour of the facility, but they weren’t hiring at the time. I took a different job, and then a few years later I was still interested in working for VMAC. I called them up, did another tour, was offered a position, and the rest is history. Jake: VMAC offers a good mix of theoretical and practical components to the job, so the work stays interesting. I also liked the fact that VMAC has strong ties to our local community. Michael: I was the project manager for the implementation of the VMAC foundry. Having our own in-house foundry was something that had been discussed for years, so when the time came to do a new project review and analysis of what this could mean for VMAC, I jumped at the opportunity to be involved. Having the foundry in-house means we can cast a lot of our own brackets and parts and reduce the time to market for our products. Neal: The Honda G30 Gas Driven Air Compressor is a big accomplishment that I’m proud of. I’ve also been part of every design and launch of the VMAC engine line, which is cool. I’ve helped design and test the diesel, hydraulic and gas driven air compressors, as well as the multifunction power system. Jake: The G30 Gas Driven Air Compressor is one of the accomplishments I’m most proud of. Transitioning the original G30 from product development into full production was a big project, and very rewarding to work on. WHY DID YOU CHOOSE TO BE IN MECHANICAL ENGINEERING? Michael: My grandfather was a steam engineer, and I was always interested in seeing all the different things he was building. I worked for my parents in the fishing industry, but I decided to go back to school. I’ve always been mechanically inclined, so I decided to get into mechanical engineering. Neal: I have two uncles who are always building things- one is a mechanical engineer, and the other owns a 4×4 auto shop. From a young age, I was always interested in seeing what they were working on, and it led me towards mechanical engineering. Jake: I grew up commercial fishing with my Dad (purse seining and trawling), and spent a lot of time working in engine rooms with diesel engines, hydraulic systems and generators, as well as the various cooling systems. Mechanical engineering seemed like a natural fit when I went back to school. Neal: I enjoy dirt-biking all year round, and snowboarding in the winter. When I’m not outside I like to relax with my family. Michael: I dabble in martial arts, and I enjoy working out and spending time with my family. Jake: I enjoy rugby, sports fishing, and getting up to Mt. Washington in the winter to go snowboarding. I also enjoy spending my downtime with my family. Michael: Working for VMAC is an excellent opportunity to work with experienced and knowledgeable people. There’s lots of on-the-job learning and opportunities to advance your career. 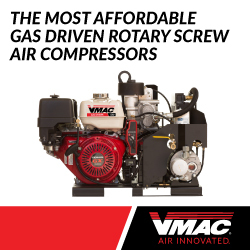 Learn more about the 30 CFM Gas Engine Driven Air Compressor, as well as the full suite of VMAC Air Compressors and Multifunction Power Systems.